Your first step on the selling ladder is to get your property valued – at the best possible price that will sell. 1. 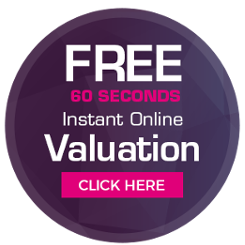 Get Your House Valued - Accurately! At Lovett Sales and Lettings we have an in-depth knowledge of the local market, with highly experienced local staff that will value your property accurately – whilst also helping you achieve the best price possible, and within the timeframes you require. When choosing an agent, take into consideration opening hours, when they will be available to conduct viewings, their high street and online presence and what kind of marketing your property will receive. These are critical to obtaining the maximum exposure and price for your property. You can also check if your agent will organise your government-required Energy Performance Certificate (EPC) on your behalf or if you need to arrange this yourself? Lovett Sales and Lettings can arrange this for you. You must have commissioned an EPC before your property can be marketed. There are legal requirements associated with selling your home, including costs to consider. This process of transferring property from one owner to another is called conveyancing. It can be a complex and lengthy process, as such we would recommend you appoint a solicitor or licenced conveyancer to undertake this work. You may already have someone in mind, or recommended to you. However we are also happy to recommend one to you – just ask! Once you instruct us, your property will benefit from a fantastic marketing package including exposure on our new website, local papers and magazines, and property sites Rightmove, OnTheMarket and MoveWithUs. Potential applicants will also receive email alerts and calls from our Sales team, promoting your property. We ensure that all viewings undertaken are accompanied by one of our staff, however give each applicant plenty of time and space to peruse the property, whilst also promoting the most valuable features of each home. Being open 7 days a week enhances the opportunity for viewings, allowing applicants and vendors more choice and flexibility. As soon as an offer is received we will notify immediately. Any special conditions of the offer will also be stated and we will check the buyer's ability to proceed before you decide whether to accept the offer. There are no legal obligations until contracts have exchanged. Once the contract has been signed by both parties the deposit will be electronically transferred or paid in the form of a banker's draft by the buyer's solicitor to your solicitor. The completion date is then set by mutual agreement.